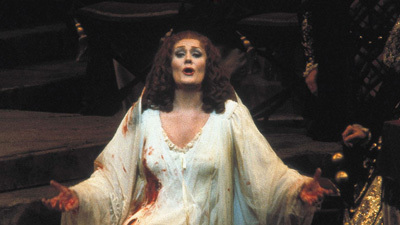 It was a performance of Lucia that literally made Joan Sutherland a star overnight. And no wonder. Her enormous, sumptuous voice seemed made for the role of the hapless young woman, driven mad by her fate. 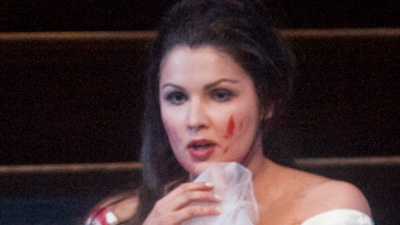 When Sutherland sang Lucia’s famous “mad scene” it drove audiences, well, mad. Her cascading vocal embellishments seemed both unending and superhuman, but she tossed them off with the élan of an Olympic gymnast dazzling the crowd with a gold-medal performance. But then, Sutherland’s voice was always golden.